In German universities, more than 90% of the colleges are fully funded by the government and they are free. There is a tremendous demand for labour hence a greater chance to find a good job placement. Post your degree, you get 18 month work visa which sets you up for permanent residency. A global career not only boasts your confidence and self-esteem, it also positions you better in the industry. While studying in German university you only pay for your living and food expenses which comes out to be approx 600 - 800 euros per month - and the best thing is you are authorized to work part time while studying to compensate part of your living expenses. German Colleges have a very high focus on practical knowledge. The internships makes you much better fit for job market. Did you know that as many as 20 German universities are among the top 200 in the world. You get ahead in both the learning and earning curve among your peers. 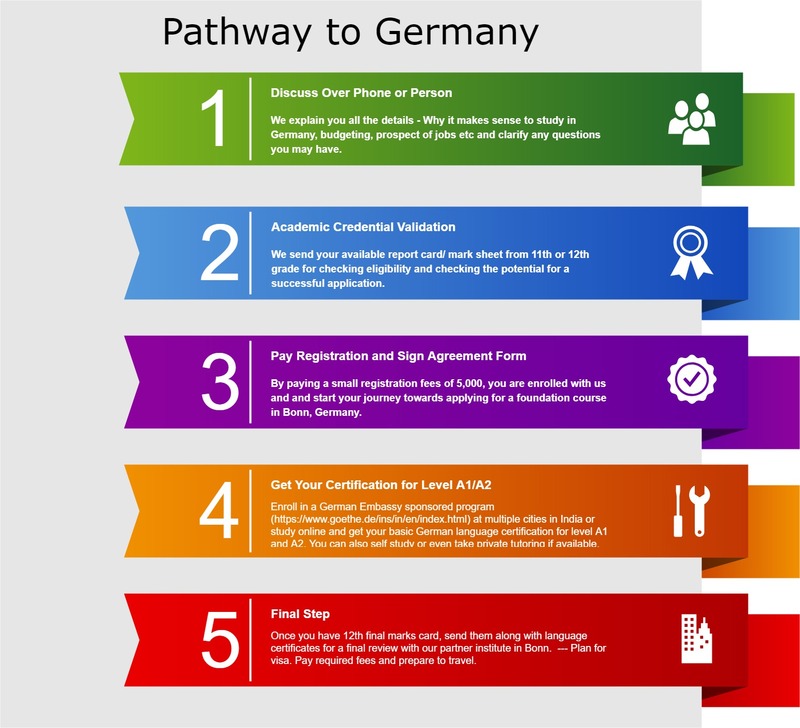 In the event you return back to India you have a good opportunity to join German companies operating in India. 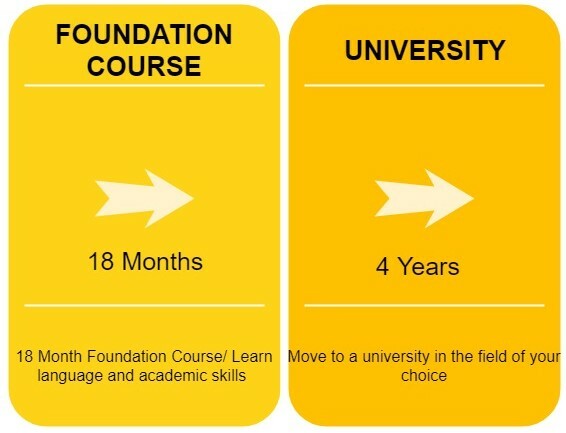 Join our 18 month foundation course at Bonn, Germany right after passing 12th grade and we will help you step by step in your pathway to accomplish your degree. If you are in 11th or 12th grade. Call us today!! We are enrolling. After completion of our foundation program, our center at Bonn will assist you in every step in identifying a suitable university to applying and settling down.